Eco-friendly tourism and travel are on the rise and more and more tourists these days are opting for more socially responsible and environmentally friendly options when planning their next vacation. When it comes to choosing accommodations, green ratings, and sustainability initiatives are now a serious consideration to travelers who are looking to lessen their holiday’s environmental impact. 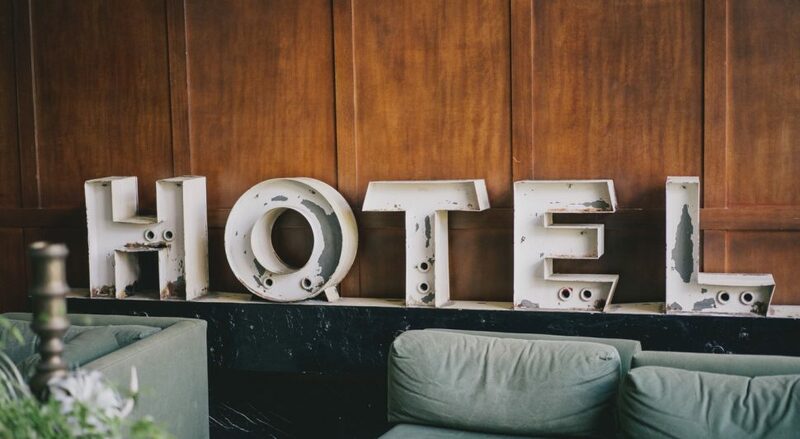 So, from both a business and PR perspective, it is crucial for hotels and resorts to act to significantly reduce their energy consumption and increase their waste diversion rate to attract guests and reduce their environmental footprint. Resorts and hotels generate a ton of waste from food, packaging, paper, toiletries and linens but by implementing an effective recycling program these businesses can improve their social ROI and more importantly their bottom line. Hotels & resorts are unique because they are such multi-faceted organizations with many different operation systems under one umbrella. Guest rooms, staff offices, food services, fitness areas and conference rooms are just a few examples of the different locations that may be generating different types of waste and recyclable materials. 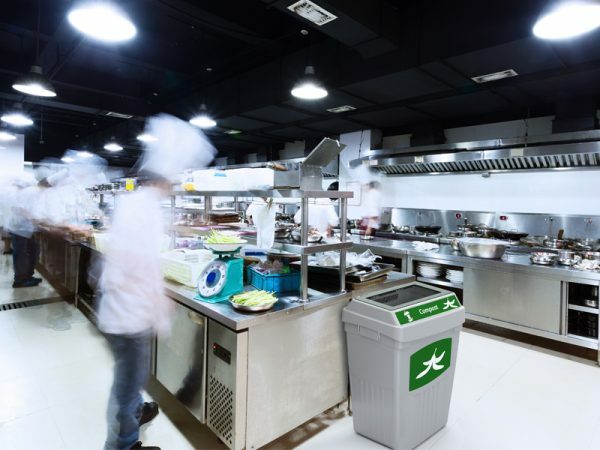 To gain a better understanding of what types of waste streams your hotel is producing and what departments are generating them, it is important to start by conducting a waste audit. For everything you need to know about how to conduct an effective waste audit download our free Waste Audit Toolkit. Completing an effective waste audit will provide you with your current waste diversion rate, identify your different waste streams, where you are generating the most waste and what items can potentially be recycled or reused. CleanRiver has conducted many waste audits in the hospitality industry over the years and has uncovered many surprising materials. 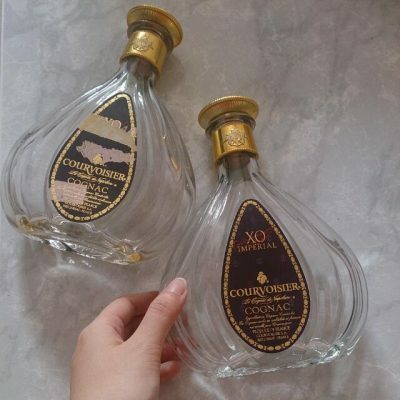 For example, while working with one hotel in Las Vegas, CleanRiver CEO Bruce Buchan identified that hundreds of empty bottles of a very expensive Cognac were being tossed in the trash. With a little bit of research, they found that there was a market to sell these bottles to. Other businesses were willing to purchase these bottles and were refinishing them and selling them as art pieces. Not only was this a huge cost savings for the hotel as they were diverting lbs of waste from landfill, but they were also able to begin generating revenue for selling their recyclable materials. Is your Hotel Recycling it’s soap? There are many opportunities for hotels and resorts to partner with great non-profit organizations such as Clean The World- Hotel Recycling Program. Depending on the size of your hotel, you throw away dozens … hundreds … maybe thousands of soap bars daily. Clean the World will give those discarded soap bars and plastic bottles a second life. A hotel recycling program with soap and bottled amenity recycling can protect the environment, preserve natural resources, and reduce costs. Make sure everything that can be recycled in your facility is being recycled to meet your overall diversion and cost reduction goals. Regularly consult your hauler and check your city’s mandates to identify new items that can increase the volume and cost savings within your recycling program. CleanRiver Flex E™ Bin is ideal for collecting kitchen compost. According to Reconomy, Food Waste accounts for more than 50% of waste in the hospitality industry. Like we always say, when it comes to recycling programs go for the low hanging fruit first. Including an organics stream in your hotel recycling program is one of the smartest choices your business can take to significantly increase your waste diversion rate. Don’t forget that separating organics from your waste streams not only reduces the amount of food waste your hotel is sending to landfill but composting is nature’s way of recycling. When compostable materials are captured and processed properly, they can be used to help grow crops, revive nutrient deficient land and even to produce power! Many resorts and hotels pride themselves on their gardens and put a lot of time and money to fertilizing and maintaining them. So, if your property is large enough on-site composting may be a great option. Cut costs on valuable fertilizers and keep your gardens looking pristine with your own organics program. To get your composting program started check out: Operation Organics and 8 Tips for Successful Organics Collection. Focus on your supply stream and everything you bring into the hotel. If you can control what is coming into your hotel, you have a much better chance at diverting more waste from landfill because the waste your hotel is producing is already recyclable, reusable, or compostable. Talk to your current suppliers and get them on board with your sustainability initiatives. When you get your hotel suppliers on board with your recycling efforts, they can adopt proactive practices and reduce or avoid waste before it is even generated. 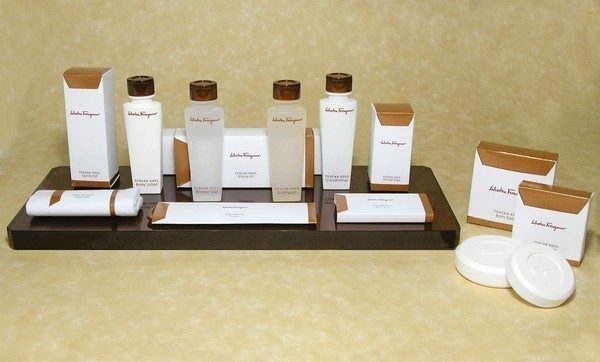 For example, many hotels are beginning to move away from the typical and over-packaged bathroom toiletries provided to guests daily. Think of all the unnecessary waste from hotel soap bars and plastic bottles of shampoo that are often tossed in the trashed barely used only to be replaced daily by cleaning staff. Just by shifting towards refillable soap/ shampoo options not only are you diverting tons of plastic waste from landfill but think of all the money you are saving in material costs! Fairmont Jasper Park Lodge partnered with a sustainable and organic family farm that provides local produce for the hotel while the hotel provides vegetable waste oil back to the farm to fuel their delivery truck and farm generator. An effective waste audit will reveal vital information for when choosing your recycling bins. Having a thorough understanding of how much waste your hotel is producing, where it’s being generated as well as the different types of waste being tossed will help you determine your recycling bin size, capacity and how many streams each station will need. Don’t forget that your hotel’s recycling needs are as unique as your guest experience your hotel offers so your recycling program should have the same high quality user experience. That’s why it’s important that you consider customizing the colors and materials of your bins to ensure they are designed to meet your specific needs and aesthetic requirements. Different areas of your hotel may require different bin designs. 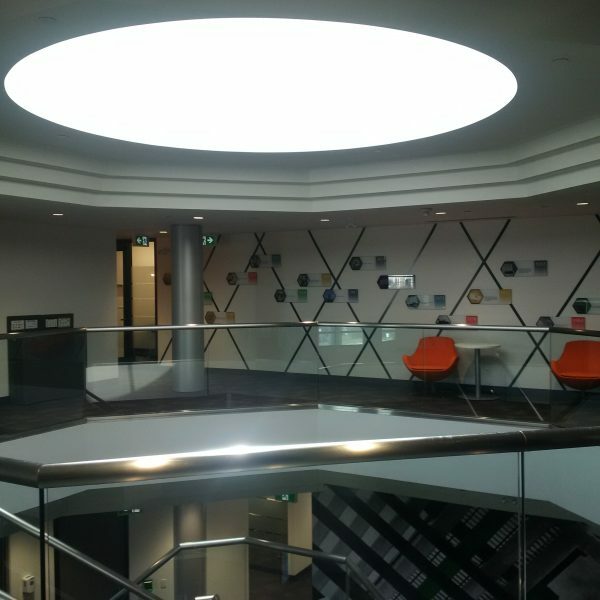 For example, the front reception, meeting rooms and hallways may require that the recycling bins be designed like a piece furniture; sleek, modern, and coordinated with the overall design and space of a room. The CleanRiver Slimline is a chic and ideal solution for hallways and reception areas to keep your recycling program looking as swanky as your hotel. 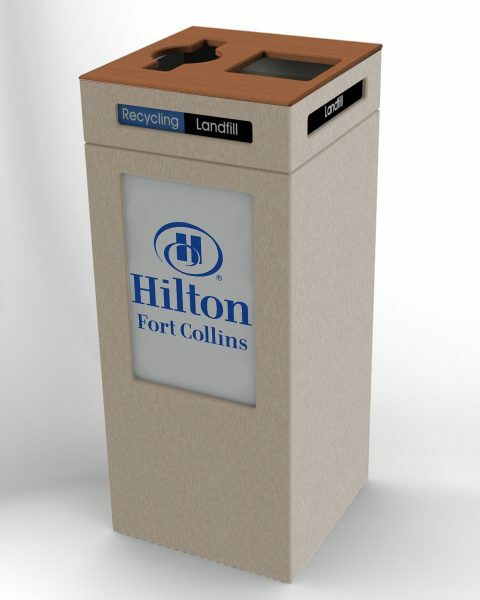 Guests rooms will need smaller bins that keep the recycling streams separate with the colors and labels consistent with the recycling program throughout the rest of the hotel. (Consider the BevvyBin as an ideal hotel room solution*) Whereas back of house areas such as cafeterias or employee washrooms may require more basic bins but with the same durability and capacity. High quality but inexpensive bins such as the Flex E™ Bin allow you to collect up to three different waste streams with restrictive openings, all in one 50 gallon container. 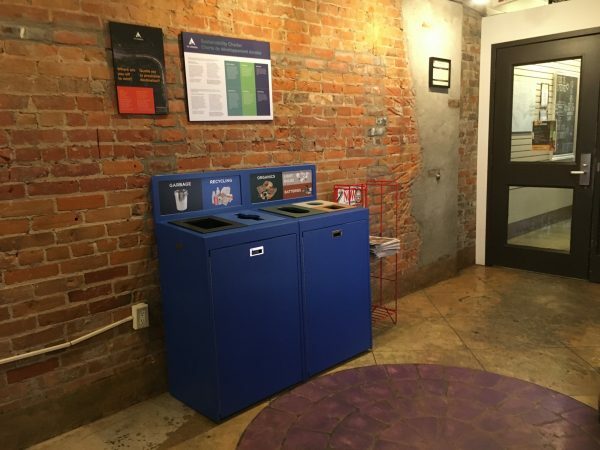 HiHostel Canada has many international guests and uses clear, high impact recycling graphics to make it easy for every one to sort their waste correctly. 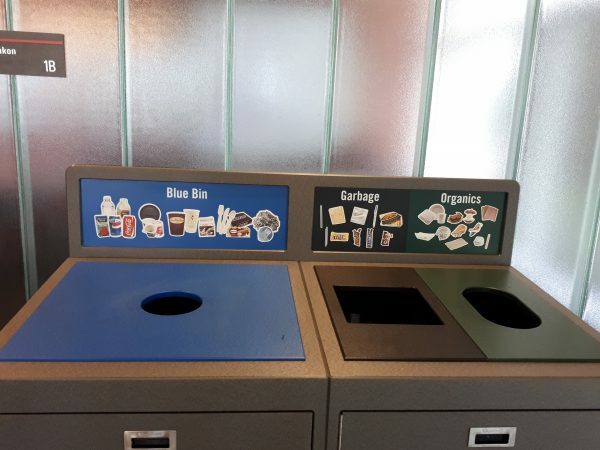 Given that it takes about 2 seconds for employees and guests to choose where they toss their trash, you can see why customizing the visual support for your recycling program will make a huge difference. Clear, concise graphics build program awareness, and when hotel guests and staff recycle correctly, stream contamination is vastly reduced. Graphics can be customized with images of actual waste such as branded food containers. They can also include sustainability messages and be swapped out with new graphics to adapt with changing needs. When it comes to a successful hotel recycling program the number one key component is staff engagement. Why? Because in most cases it’s hotel staff that are responsible for managing and sorting the waste for both the hotel and the guests. Creating competitions, starting a green team and setting up regular training sessions are favored by most large organizations who know that it takes an army and that their sustainability goals can only be achieved with the buy-in of those in the trenches. Work with your waste hauler bin provider to educate employees on the recycling process through literature, presentations or even a recycling facility tour. By understanding the steps, employees will feel more invested in the success of the program. Set company and departmental goals. Competitions create a fun atmosphere and positive buzz about new initiatives. Hotels often provide budgetary, sales, and performance incentives so why not do the same with recycling? Potential savings generated by the program can off-set the costs. Work with your waste hauler to educate employees on the recycling process through literature, presentations or even a recycling facility tour. By understanding the steps, employees will feel more invested in the success of the program. Communicate your program throughout the hotel so employees, guests and clients are all aware of your sustainability goals. Elevator posters, signs, recycling door posters, guest room signs and the hotel information book in every room should all clearly promote the recycling program and guest expectations. For more information on launching a successful hotel recycling program, check out our blogs 10 Step Checklist To Start Making Money With Your Recycling Program and 3 Ways To Protect Your Recycling Program From Failure.